See scan - perfect condition. 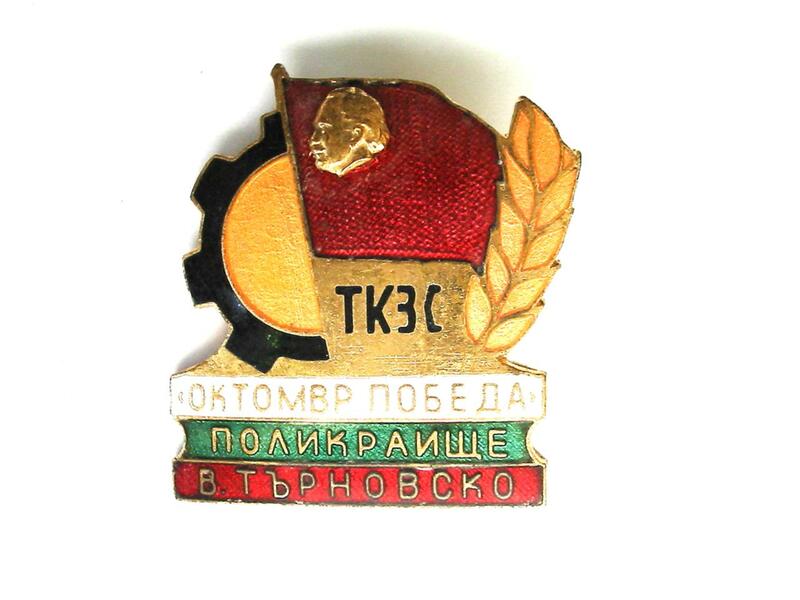 This is a nice and rare early communist era Bulgarian October Revolution Agrarian Merit badge awarded to workers from the Polickraishte region near the town of Tarnovo. The piece was awarded for perfect work and achievement during the so called socialist worker's competition. The badge is large gold plated with multicolored enamel. Nice collector piece and one of the nice communist propaganda Bulgarian badges.